Do you like of Video Game? 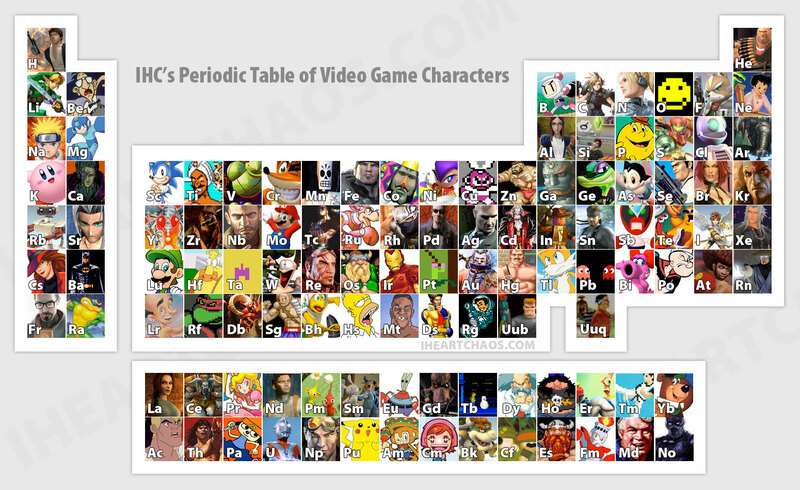 Do you like of Periodic Table? It is like and EOR (exclusive or) question, one is true and the other is false. But if you need to keep the periodic table in your memory because you have test at school you can join the two things making a Periodic Table acceptable for your mind. You will see how much is easier learn about something when we get pleasure. I'd recommend you made (for the worst things you need to learn) schemes evolving your favorities things :) pictures, quotations, movments... all this helps you a lot. Give it a try! This posts runs out a little of what I used to write here, sorry. Anyway is a good tip.